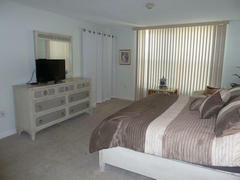 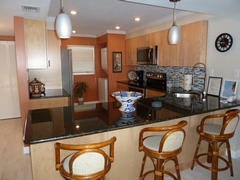 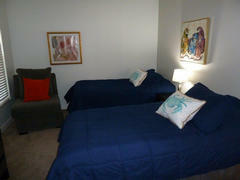 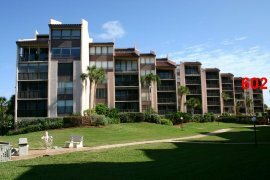 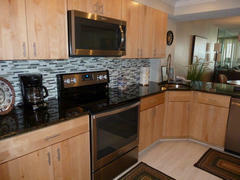 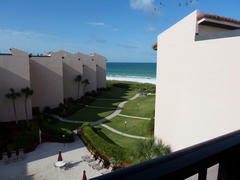 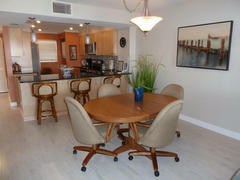 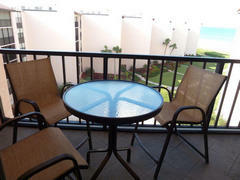 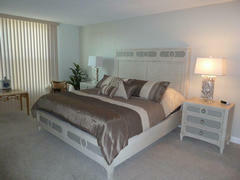 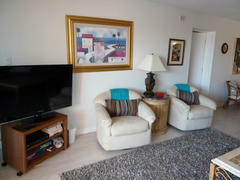 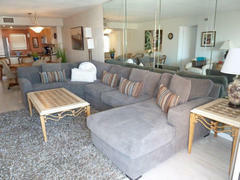 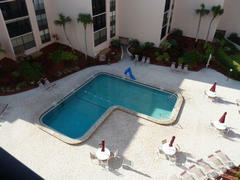 This Deluxe Unit is completely furnished and fully equipped. 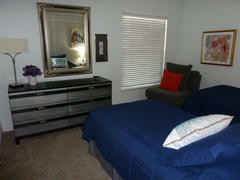 All linens, dishes, cooking & eating utensils, Iron and Ironing board are provided. 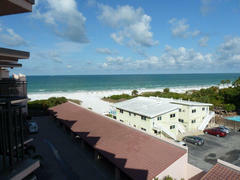 Just bring your sunscreen and beach towels - everything else is here! 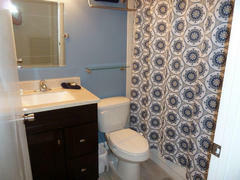 The Master Bath has a full shower, toilet and vanity with sink, plus a large vanity with sink in adjoining area. 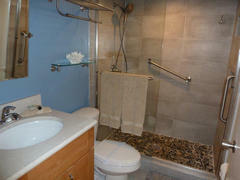 The Guest Bath has a tub/shower, toilet and vanity with sink.